Christopher Walken is beloved as a great actor of many drama and comedy roles. My personal favorite is his now famous skit on SNL where he asks for "more cow bell". 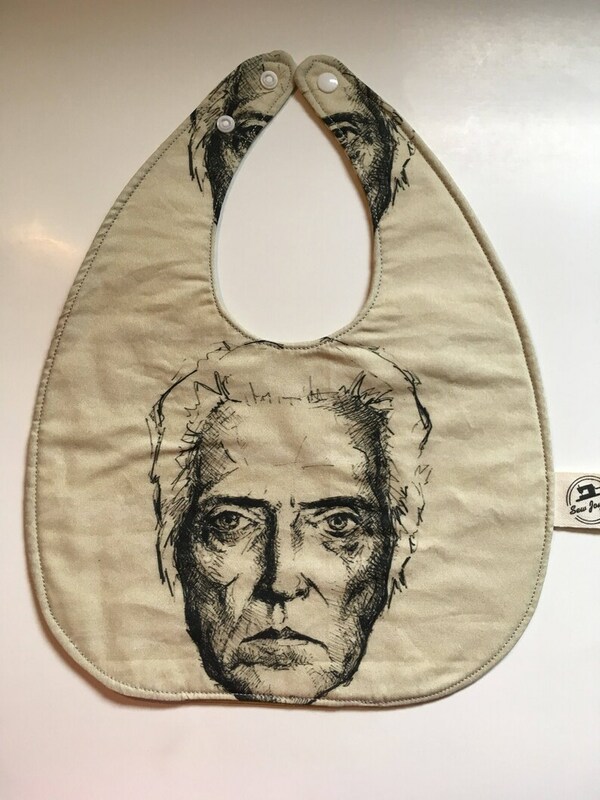 This baby bib features a pencil sketch image of Christopher Walken on one side and a polka print on the reverse side. A bamboo blend quilters batting is used to make each bib very absorbent.